Where does all the money that taxpayers invest in public education go? That’s a question lawmakers must consider every two years when they build the state’s biennial budget. And during this “education session,” it’s more relevant than ever – the proposed budget released by House Republicans Monday spends more money on K-12 education than ever before in state history. 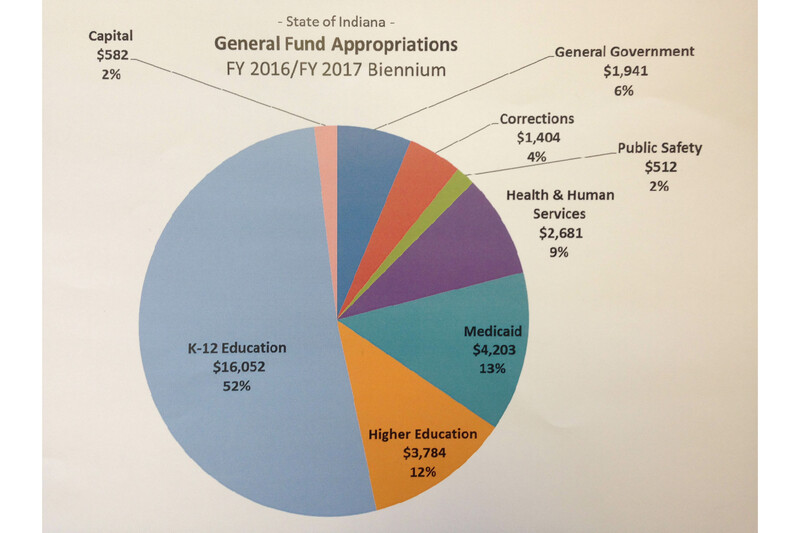 In fact, K-12 and higher education spending combined account for 64 percent of total general fund appropriations over the next two years. 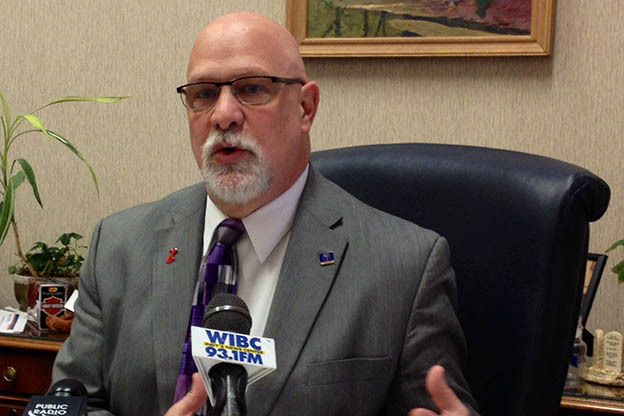 Rep. Tim Brown, R-Crawfordsville, who constructed the proposal, says this is a new track record. The budget is big and complicated (but then again, what’s not this session?) Let’s take a closer look at some of the numbers and what they mean for schools. The biggest change in this budget involves a shift in the school funding formula – the equation that determines how much money the state gives each school corporation. Fiscal Year 2017: $5,105 per student. 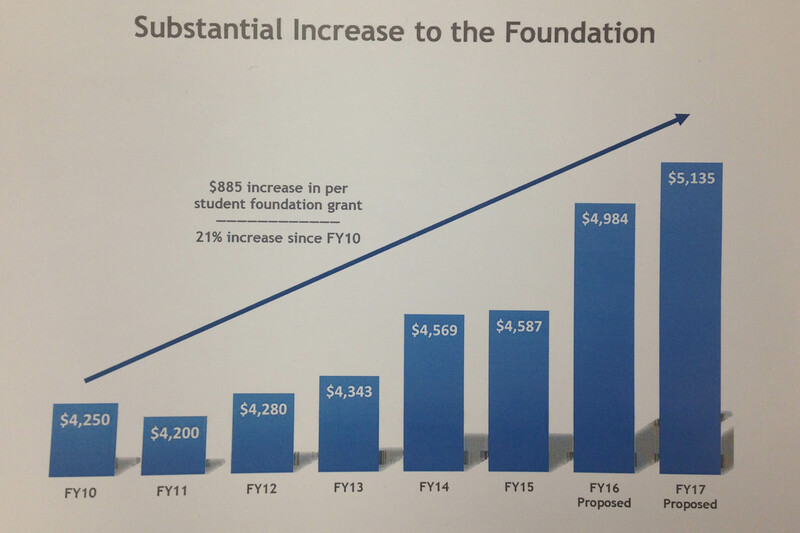 The state is in the middle of a seven-year process to equalize foundation funding for all students (aptly named “transition to foundation“). The goal is to narrow the gap between districts rich and poor. The foundation increases included in this budget would help the state chop a year off of that process. It’s also important to know that kindergarten students will now count as a full student in the ADM – they used to count as one-half. 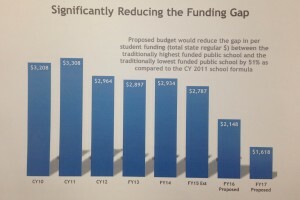 So districts with more of those kids will receive more foundation funding. That number used to be calculated based on how many students received free textbooks – but that statistic was hard to verify. Later, the qualification shifted: “at-risk” kids were those receiving either free or reduced-price lunch. This budget proposes changes the qualification to simply those receiving free lunch. Free lunch is a federal program. In order to receive it, students have to sign up through the Family and Social Services Administration and provide family income verification. On the flip-side, sign-up for reduced lunch programs varies from school to school. Additional funds are distributed based on the number of students who graduate with honors and students who have disabilities. The dollar amounts for those grants will both increase, as well. What does all this mean, exactly? This budget would hit urban districts harder than suburban and rural schools. That’s because a lot of urban schools are seeing a decline in enrollment right now (aka a smaller ADM). 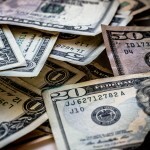 Remember, the money follows the student – so fewer students means less foundation funding. Additionally, as the state attempts to level out foundation funding, schools that used to receive the most of those dollars (those moving down along the “transition”) will now receive less. Indianapolis Public Schools, for example, would see a 6 percent reduction in total state tuition aid by 2017 despite being one of the state’s poorest districts, with more than 75 percent of children coming from families that are poor enough to qualify for free or reduced-price lunch. Some of the state’s other poorest cities also would face basic tuition aid cuts: 19 percent for Gary, 10.5 percent for East Chicago and 3 percent for Hammond by 2017. Meanwhile, the two wealthiest school districts in the state for family income — Zionsville and Carmel — would see large increases in total state basic tuition aid: 10.6 percent and 10.7 percent, respectively, over the two-year budget period. Neither district has more than 10 percent of its students qualifying for free or reduced-price lunch. “I feel good that we’re able to give such large increases, that we made that a priority, and that we’ll be able to have a building block for the future,” Brown says. Provides $31 million for schools to expand and improve career and technical education programs. 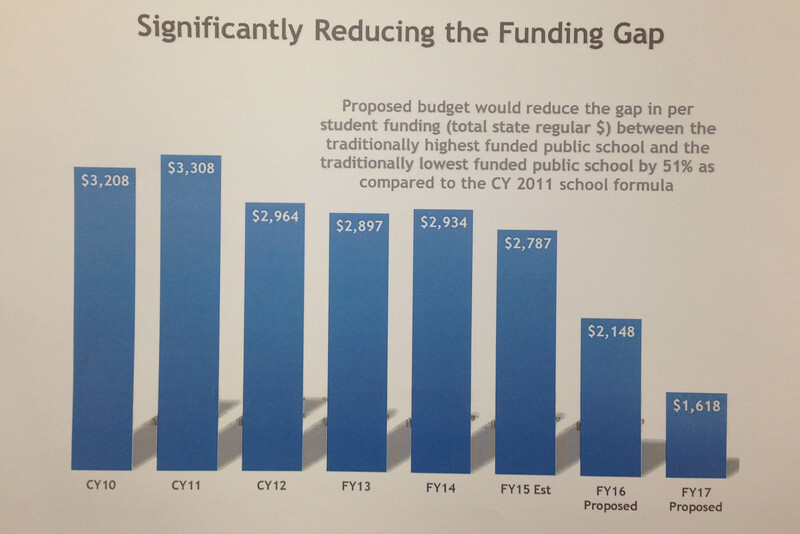 The budget also creates a new grant for charter schools separate from the funding formula. Schools would be able to submit an application to the state for up to $1,500 per student to help pay for building, technology and transportation needs. Brown says he expects the House Ways and Means Committee to vote on the proposed budget this week.